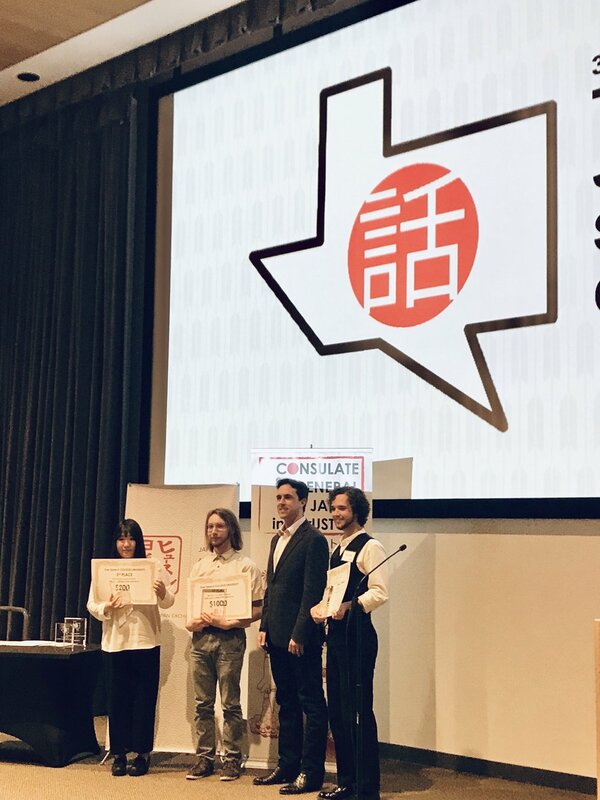 On Saturday, March 23, 2019, JASH in partnership with the Consulate-General of Japan in Houston presented the 2019 Texas State Japanese Language Speech Competition. 36 participants - ranging from middle school students and life-long Japanese learners - gathered at Rice University to demonstrate their Japanese language skills. The contest showcased students reciting poetry and presenting original speeches and, moreover, featured a creative display of student determination, devotion, and tenacity as language learners. As the contest celebrated its 30th anniversary, tribute was also paid to the contest founder, Dr. Toshimatsu Matsumoto, as well as to the fast approaching end of the Heisei Era. Special recognition was given to the top three contestants in each competition division. 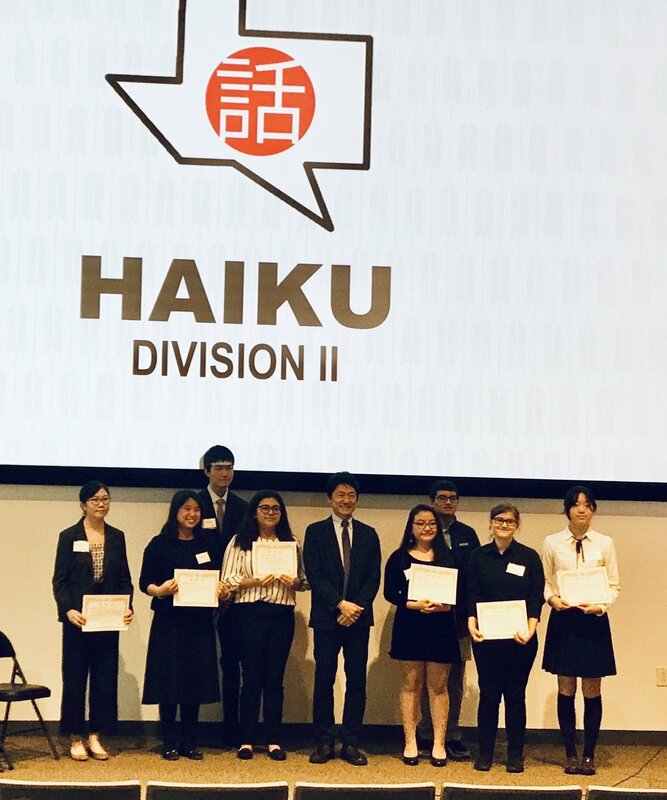 Winners of the POETRY DIVISION received drawings of the Houston Japanese Garden and Kinokuniya gift cards from the Japan Business Association of Houston (JBAH). The 1st Place winner also received a gift bag from the Texoma JET Alumni Association. Winners of the HAIKU DIVISION received gifts from the Japanese Teachers Association of Texas (JTAT). Winners of the H.S. 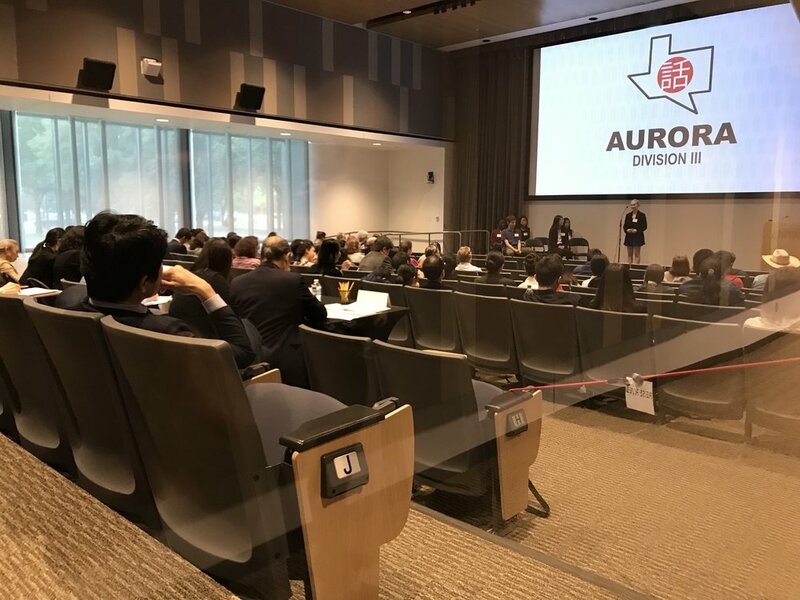 FREE SPEECH AURORA DIVISION received scholarships from the Japanese Association of Greater Houston (JAGH): $500 for 1st Place, $300 for 2nd Place and $200 for 3rd Place. Moreover, the 1st and 2nd place winners will be sent by JASH to the All-U.S.A. High School Japanese Speech Contest in California. Winners of the COLLEGE/UNIVERSITY FREE SPEECH DIVISION received scholarships from JASH: $1000 for 1st Place, $300 for 2nd Place and $200 for 3rd Place. Winner of the OPEN FREE SPEECH DIVISION received a round-trip ticket to Japan on All Nippon Airways, the official airline of JASH and the Texas State Japanese Language Speech Contest. Congratulations to all of our contestants.